Why did people ever put games on a blockchain? There’s a standard answer: “because blockchain cryptographically ensures true and absolute ownership of items, and it makes games trustless and transparent”. Now, in reality, these are ideals that games strive for, not hard facts to be taken for granted. In the face of scams, vapid and risky hot potato games, and dysfunctional development team, it’s been hard to onboard newcomers to the world of blockchain gaming. “No, guys, it’s safe in here!”, we shout, beckoning scared newbies over to our crypto cave, which is on fire, and so are our heads. We’re actually not here to tell you that crypto games are safe. You’re investing made up computer-money into some 20-somethings’ maiden project, betting against the odds that digital illustrations of bananas riding motorcycles will one day be worth hundreds on an online crypto exchange, which has most probably been hacked at least once before. Nothing is guaranteed to be safe. But there are things you can do to play it safe(r). Plenty of crypto games do make it to the end, their tokens and collectibles become valuable, and players make cash off them. In this post, we share tips, truths and myths about the industry, so you can recognize a trustworthy game when you see one, and make it through the craze without losing your house, car, and kids. For a great, detailed explanation of this, check out “Ethereum Games Explained,” by Siraj Raval. Decentralization/centralization isn’t black and white. It’s a continuum. Blockchain technology does allow full decentralization, but no crypto game is 100% decentralized; they just lean heavily towards decentralization in the spectrum, while normal console video games are far on the centralized end. This diet decentralization is beneficial for the gamers in at least one way: games can run faster and include more complex gameplay if part or all of their code is off-chain. Imagine having to run the entire code of your favorite game on the blockchain – scalability issues are a silent killer, people. 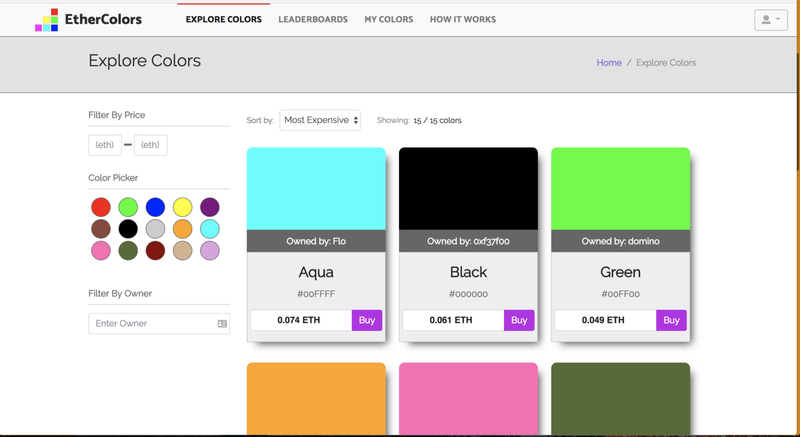 Remember when CryptoKitties clogged up Ethereum? If you want a crypto game to be entirely on-chain, your only chance is to make an extremely light, probably extremely boring game. Do hot potato games sound familiar? (See below). Alright, so crypto games aren’t fully decentralized. But they’re at least 100% trustless, right? Ok, sit down kids. It’s very hard to guarantee that you won’t need trust at any point during the life of a game. 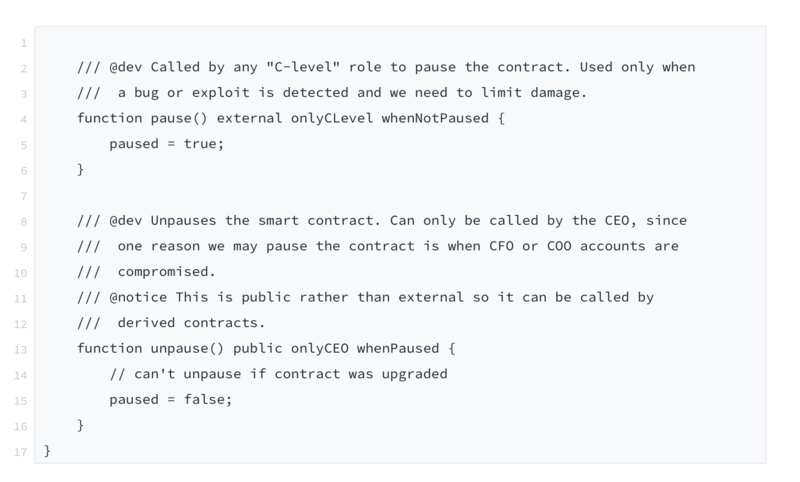 Yes, it’s true that once a game has smart contracts up on the blockchain, you can monitor every single thing that happens on those contracts, and that immediately gives blockchain games an advantage over fully centralized games. But there’s more to a game than that. During the earliest stages of a game’s career (the pre-sales and airdrops during alpha and beta stages) you can’t possibly know whether a game will pick up or not. And yet this is exactly the point at which you’d make the biggest return in your investment, if the game ends up making it big. If you’ve decided you’ve got enough cash to invest in a game at an early stage, go for games that have a reliable team, proven experience, and who’s whitepaper and roadmap makes sense. If it sounds too good and easy to be true, it probably isn’t. Another problem is that even on the blockchain, a game can still be abandoned by devs, which might eventually bring down the price of your assets. It’s not a perfect system, but crypto games still come out with an advantage over fully centralized games in this case. If a game fails, you may end up selling your assets for a lot less than you bought them; but at least you’ll have the chance to sell them! Recently, the case of WAR FIELD’s delay with token withdrawal gave gamers quite a scare. Thousands had bought tokens and started playing the game, but when their tokens failed to arrive on time, many thought it could be a scam. In the end, the team sorted their technical issues and paid out – but it reminded us all that the need for trust is actually very present in crypto gaming. This is the kind of game that’s light enough to have all of its gameplay on-chain; because it has none. It’s really just a coin being passed around, with the added rule that you can never buy it cheaper or for the same price as what the last owner bought it for. 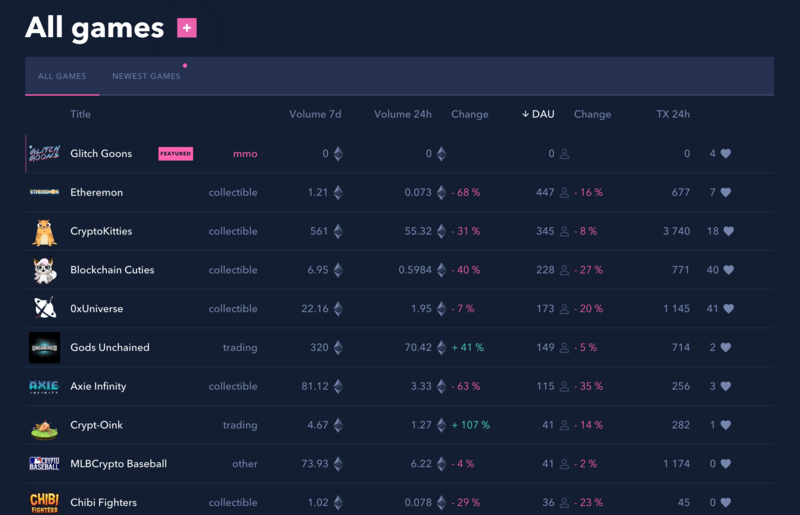 Made most popular by CryptoKitties, and succeeded by a plethora of look-alikes that ended up making a reputation of their own (Blockchain Cuties, Etheremon, Axie Infinity, are all examples of successful games), collectibles were a first step away from hot potato games and in the direction of more complex, more fun games. Originally just centered around collecting tokenized pics, we’ve come to the point where the most successful crypto games are all collectibles with added gameplay, where your tokenized characters can battle against other players’ characters, and you can buy extra gear, boost your power, or play mini games with the game’s native currency. Some of the most popular involve some variation on cute cats, cute dogs, cute mystic beings, or even cute fish… but we should also mention the success of tycoon style games, with Token Tycoon and ETHTown being prime examples. Tried and true games are always a safer bet than anything on a pre-sale, barely-beta stage. Which is not to say you should never try something new! But you should always only bet what you’re willing to lose. If you’re not willing to lose much, you’re better off playing an older, proven game. Refer to dapp listings for information on this! Similar to the games above, but with even more complex gameplay, games like Ember Sword, Crypto Wars, and Ethercraft have never made it as big as games that push the collectible aspect harder. That being said, many games fall in between, featuring both collectible aspects and strategy or role playing aspects – there may be disagreement over whether these should really be two separate sections. Again, the risk may be less than with hot potato games, but the best safety measure you can take is to only invest what you’re willing to lose. Gambling games are honest, in the sense that they’re not pretending to be anything more than what all crypto games started out being: basically just gambling with cryptocurrencies. 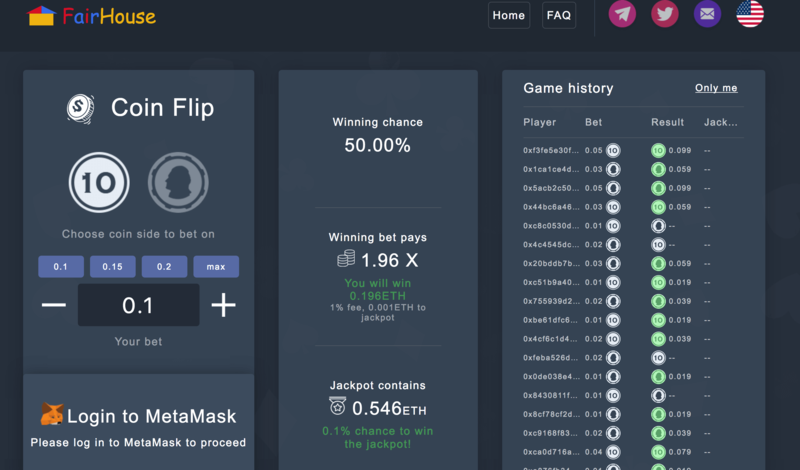 In games like Edgeless, SportCrypt, FCK, Fairhouse and countless others, the risk is either tied to real life events that you can bet on (sport events usually), or on on-chain games of skill and luck. Good if you’re only looking to make money and don’t wanna be bothered by cutesy characters and flashy gameplay. Look at you, Mr. Serious Adult. Games whose risk is tied to real life events do have one advantage: it can be easier, especially in very regulated events, like sports, to trust the veracity of the outcome. Hey, the football game might’ve been fixed, but at least you’ll be safe from any hackers or dev teams messing with your earnings. Recently, many promising games are coming out that have actually decided to keep the entirety of their code centralized, using the blockchain only to run a tokenized game economy on it. A good example is Gods Unchained, which was envisioned as being the best of both worlds; a cross between Hearthstone and Magic: The Gathering, meaning you’d have the advantages of having digital cards, mixed with the advantages of actually owning a physical card, which you’re free to sell. More examples are games like Beyond the Void, LaserChain, 9Lives Arena, and WAR FIELD, all trying to bring the best from AAA console video games – the speed, the complexity, the graphics – together with the best of blockchain – the tokenized ownership of items, which means players can sell their hard earned game assets even if the game gets shut down, and that players can prove the rarity of their assets. a) Even games that do have most of their code on-chain cannot be said to be 100% decentralized. If a development team has the correct intentions – and we wish they all did – they’ll use their privileged access to protect gamers from bugs and external hackers. Of course, it is always a possibility that it’ll be the devs themselves who were the hackers all along… but then, this is just the same danger you already had with normal centralized games, except toned down. b) Our verdict for trustlesness is similar; blockchain games definitely offer a degree of trustlesness once the code or the assets are on-chain, something centralized games lack, but you should not think this means you can invest in any game blindly before it has even launched its gameplay! There’s always a chance the assets will never be listed on any exchange, or that the gameplay will never come, and you will be left penniless. Even so, blockchain games still offer more security in these aspects than more centralized games. As the industry stabilizes, we should begin to see new developments, more mature implementations of blockchain (maybe these off-chain games are leading somewhere better, eh?) and hopefully more competitive dev teams that really commit to quality.